You say char siu (Cantonese), I say xá xíu (Vietnamese). You say baozi, I say bánh bao. You say awesome pork buns, I say...well, awesome pork buns. There's a general class of yeast-leavened, no-butter, no-egg, steamed dough that is prevalent in a lot of Asian cultures; their common ancestor is likely mantou, a simple steamed dough made from flour, water, and yeast. Though the dough is not new in any way, I would argue that David Chang's famous Momofuku pork buns have played a huge role in shepherding Asian steamed buns into today's hip food scene. Another popular dish is char siu, which is basically marinated roast pork (some might call the marinade a form of Asian barbecue sauce) with a caramelized honey (or maltose) glaze. Char siu and its variants are used in a bunch of dishes, including char siu rice, bánh mì xá xíu, chāshū ramen, and many others. So today, we're going to combine the two and make char siu bao from scratch. Let's go! Next in our series on the five mother sauces is velouté sauce. 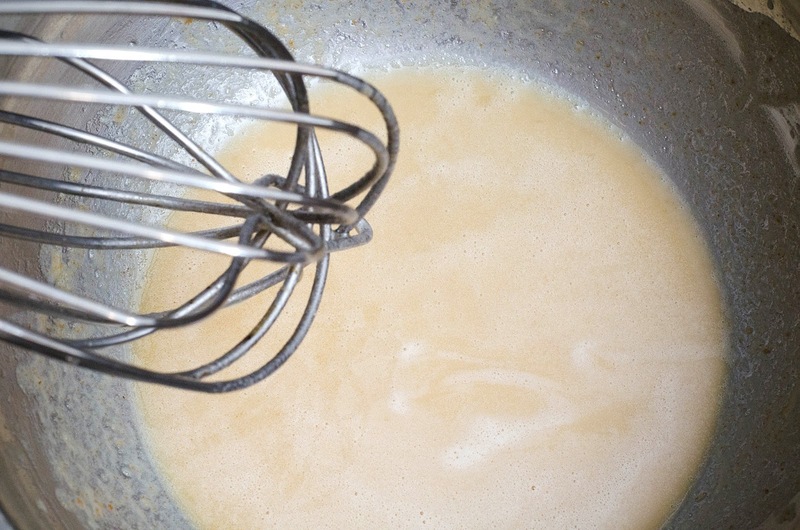 Velouté is similar to béchamel sauce in that it's a single liquid thickened with roux. Also like béchamel, you'll see that's it's pretty darn easy to make. 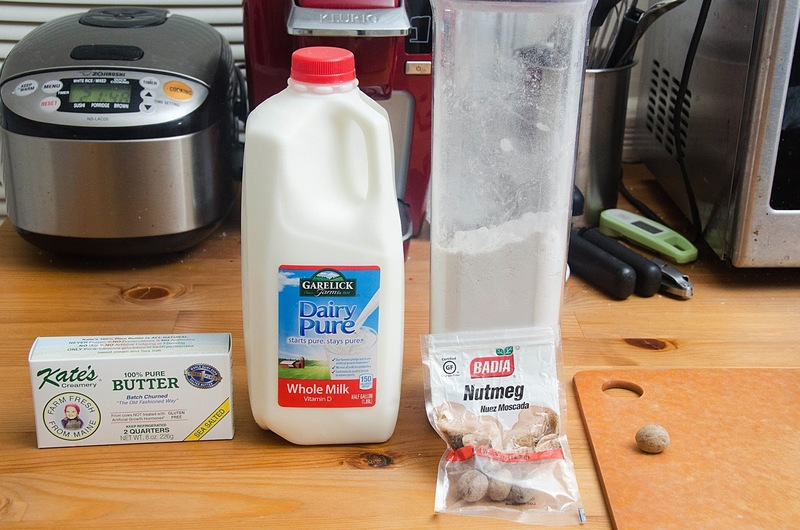 For this post, we'll be making the mother sauce, velouté, a child sauce called sauce suprême, and some awesome sous vide chicken and vegetables. Inspiration for the chicken and vegetables comes from the ChefSteps recipes for chicken roulade and whole poached chicken. 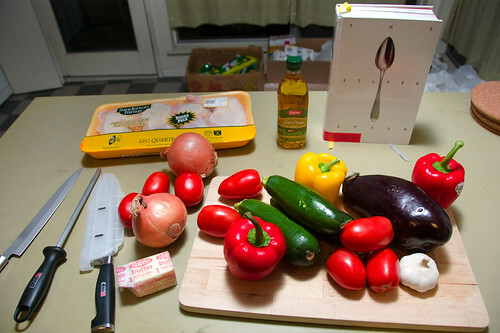 The sauce suprême recipe is from a combination of a few recipes + personal experience. This is the first in a series on the five mother sauces in French cuisine. Without delving into a long history lesson, the five mother sauces as we know them today were defined by Auguste Escoffier in the early 1900s. Escoffier, commonly regarded as the father of modern French cuisine, did a lot of work toward organizing, standardizing, and simplifying the zillions of recipes and techniques of his day. For more details, here's a great BBC article that outlines some of his contributions to modern cooking and dining. Most french sauces can be seen as a derivation of one of the five mother sauces (hence the name); if you've ever eaten eggs benedict, mac and cheese, or biscuits and gravy, chances are you've already encountered a mother sauce or one of its derivatives! 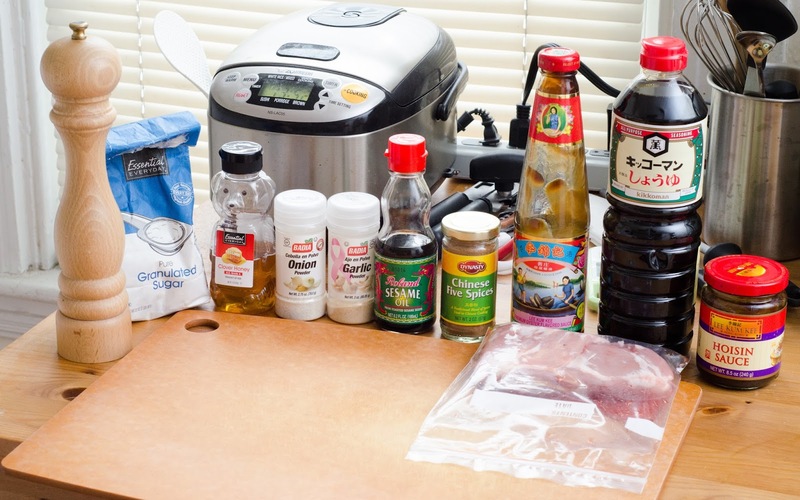 In this post, we're going to make a mother sauce as well as one of its derivative sauces, and some food to go along with it. Ahh, coq au vin. Literally translated as "rooster with wine," it's a classic dish that exemplifies the marriage of food and wine. But more importantly, it's an excuse to cook with booze. 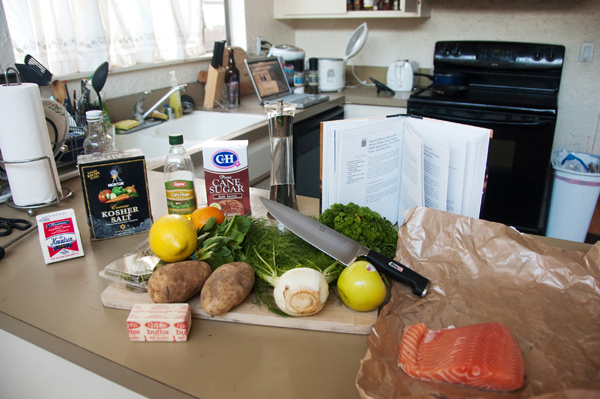 Q: Do you own a copy of Mastering the Art of French Cooking? A: Why are you reading this? Go buy a copy. A while ago, I was given a great cookbook for my birthday--it's called From Emeril's Kitchens, and it's full of these beautiful looking (and mostly retired) recipes straight from Emeril's restaurants. Since these recipes were used to create dishes that were actually served in his restaurants, it's no surprise that these recipes are more intricate and complex than your typical recipe. Since I was relatively new to cooking when I was given this book, it's also no surprise that this cookbook intimidated the crap out of me. But now it's a couple years later, and I can take it on. maybe. Chicken Ratatouille - From "The Silver Spoon"
This recipe comes from The Silver Spoon, a classic Italian cookbook (and one of the most popular ones) with as much of an impact to Italian home kitchens as The Joy of Cooking is to American home kitchens. But enough talking, let's get to the cooking! This recipe involves a good amount of work, but it's definitely worth it. Hey, it's better than your typical "buy generic pasta and sauce-in-a-jar" meal. I swear I'm not a food elitist. Hey, I use frozen spinach and canned sauce (with other stuff) in this recipe! 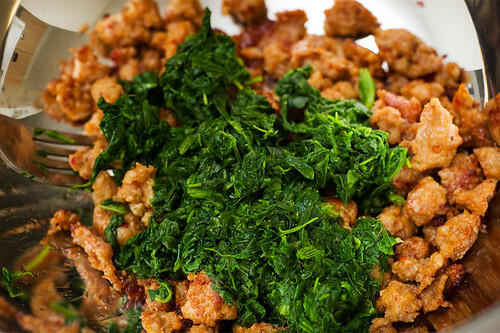 Cook your Italian sausage and spinach, and put them in a big bowl. It's Latin for growth. We encounter growth in all stages of cooking—our ingredients had to grow to get where they are, our dish grows as we combine its individual components, and we grow as cooks every time we learn something about food. Besides, Latin words just sound so cool. Vegetables edited from originals from vectorilla.com. Theme images by claylib. Powered by Blogger.